FRIDAY, Dec. 1, 2017 (HealthDay News) -- The more college football referees know about concussion symptoms, the more confident they are in calling a timeout for a suspected head injury, a new study shows. Researchers surveyed more than 1,300 college football officials during the 2015 season and found that they called an average of one injury timeout for a suspected concussion every four games. Those with greater awareness about concussion symptoms were more confident in making such calls, according to the study published online recently in The Journal of Athletic Training. "Concussion education for officials is important," said lead author Emily Kroshus, an assistant professor in University of Washington's department of pediatrics. "When officials are more aware of concussion symptoms, they are more confident in calling injury timeouts," Kroshus said in a journal news release. "Understanding the determinants of whether officials call an injury timeout when they suspect a concussion has important implications for the design of interventions that better support officials in this role," she added. Study co-author John Parsons is managing director of the NCAA Sports Science Institute. "One way that officials can help ensure sports safety is to recognize potentially concussed athletes and call injury timeouts appropriately so that athletic trainers or other medical personnel can conduct evaluations," he said. Said Kroshus: "When officials believe that coaches, athletic trainers, parents, fans, athletes and athletic administrators are equally committed to safety first, they are more likely to call injury timeouts if they suspect a concussion has occurred. "The study also sheds light on the pressure these officials experience on the field and the importance of making them part of a collaborative team committed to sports safety," she said. The lasting damage caused by repeated hits to the head has generated much attention in recent years. 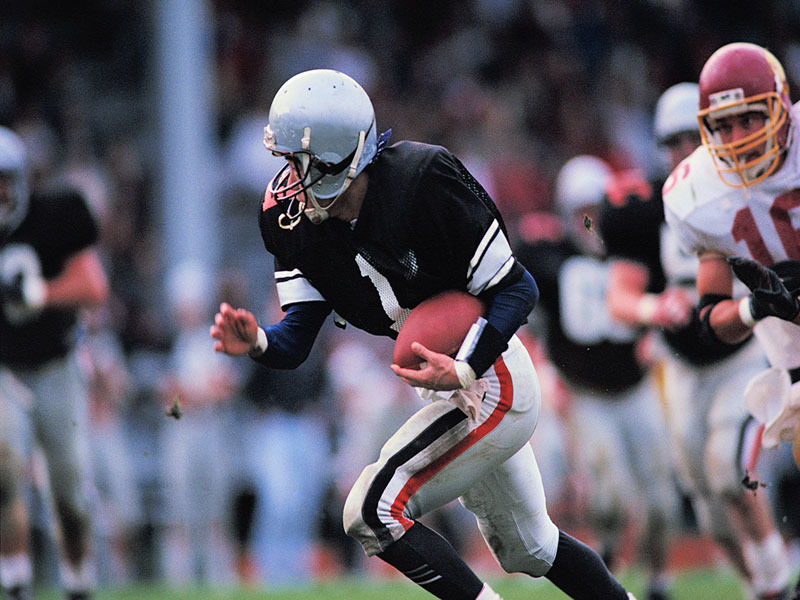 A study published in July in the Journal of the American Medical Association said chronic traumatic encephalopathy (CTE) -- a condition that can mimic Alzheimer's disease -- was found in 99 percent of brains donated by 111 former National Football League players. Concern about concussions now touches all levels of football -- to as young as youth leagues.